Do you know that moment in a love story when the main characters finally come together after being kept apart for so long? Do you know what we are talking about? 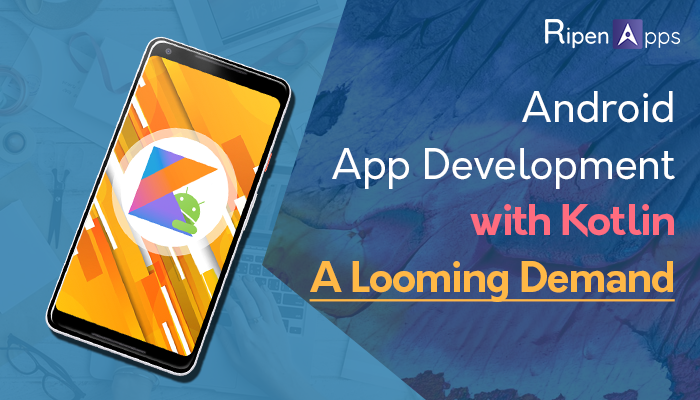 Well, yes we are talking about Google’s launch Kotlin that has taken the limelight in android app development world. Since long, we have known & used Java as the prominent language for android app development. However, saying that it is only or rather the unsurpassed choice will be erroneous. Despite the fact that it has marked its existence as a robust and official language, it too comes with different set of challenges, which can prove to be deterrent for app developers. With the gift of Google, it’s been a while since Google extended its support to Kotlin & app developers have already started moving to Kotlin. Due to having a bags-full of features & functionalities, Kotlin has been established as an emerging choice. However, take a pause, while we adopt modern programming, it is also important that we have a look at why this change is so important and is widely accepted. With the emerging technology, different JVM languages have started gaining the attention of the app developers, and need to be mentioned that Kotlin is leading this herd. So what is this bonus? What is Kotlin? This is the new JVM is the idea of the JetBrains programmers from Russia. We can accept the piece of information to this as they have named the language on the name of an island situated close to the place where they grew up St. Petersburg. The new JVM based language accompanies top of the line Android Support Studio. All you require in to introduce the Kotlin Plugin and watch it making the configuration in your project. We as a whole realize that Java has turned into an old school language. Truth be told, it is one of the most seasoned programming languages. With a history as old as around 22 years, Java has without a doubt profited various features to the developers, in the end serving us with extraordinary android apps. Developers have turned out to be very much familiar with the language. In any case, we can’t deny that being old has its very own hindrances from the programming angle. This is one of the primary purposes for the developing fame of Kotlin. The language can exist together with its senior kin Java on a similar project. Truth be told, when you compile your project utilizing both the languages, it will be troublesome for anybody to state which segment is done utilizing Kotlin and which one utilizing Java. With this interoperability, Kotlin enables you to utilize its features and simplicity of activity without changing to another project or changing the codes for the present task. Kotlin being an open source language, you don’t need to spend your valuable cash. You can begin utilizing this top of the line language just by utilizing Java-to-Kotlin converter device to change over your current Java documents. The device empowers you to change over the mind-boggling codes to a less difficult shape without trading off with time and efforts you spare. With the looming demand, Kotlin has taken focal space and widely approachable. At RipenApps, we have a troupe of talented & canny android app developers who are well versed & equipped with the very cornerstones of Kotlin. Yet you have any query and want to get it resolved then drop a mail at sales@ripenapps.com. We would love to share our knowledge with everyone.